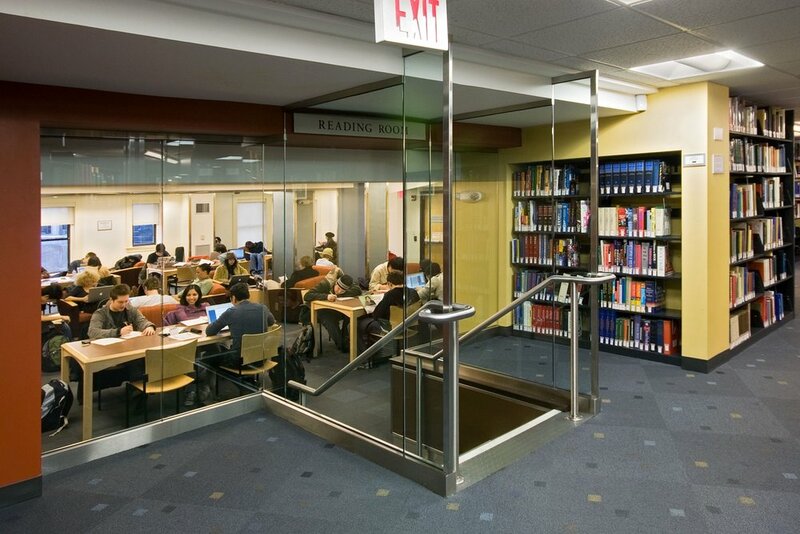 A significant resource for the Berklee College of Music community, the Stan Getz Library and Media Center houses over 30,000 CDs, over 20,000 scores, over 5000 video recordings, and hundreds of music periodical titles and a large collection of musical literature. It is located in the 150 Massachusetts Avenue complex and originally occupied a single floor. 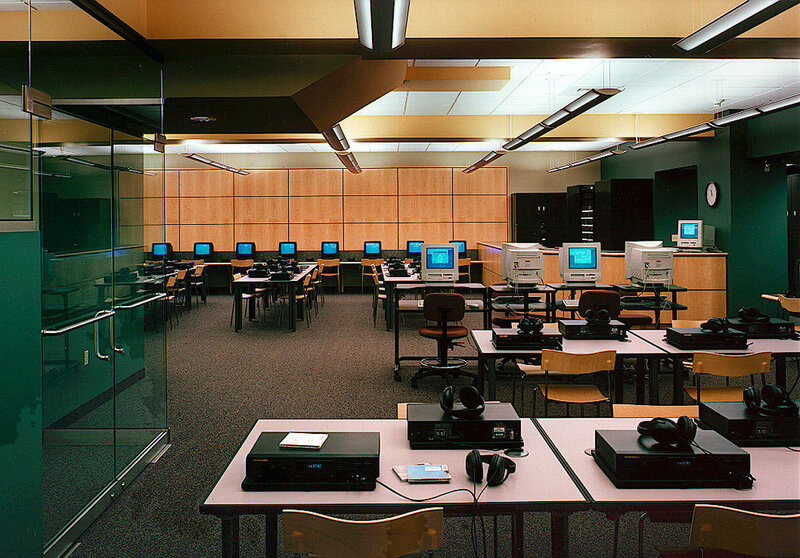 Our first renovation of in 1997 expanded the library to two floors, housing a print materials library, an environmentally controlled archives facility, and a Media Center with multi-media computer stations that serves as the core of a campus-wide digital A/V network. 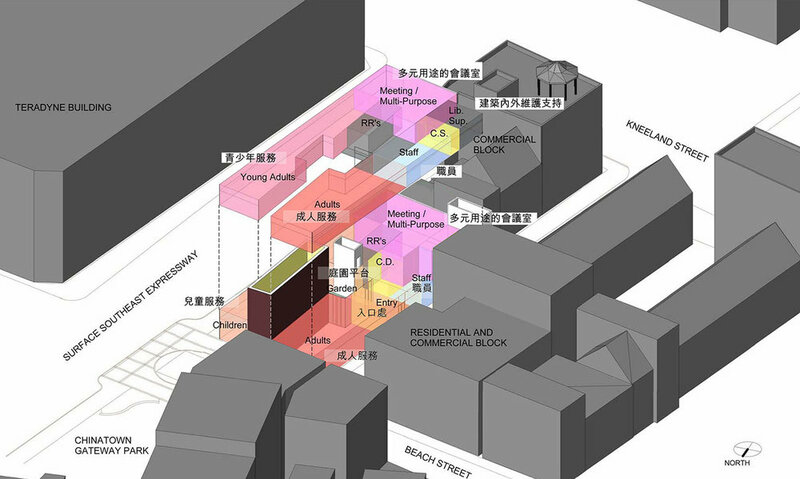 In 2008, Berklee reengaged MDS to design and implement further renovations. 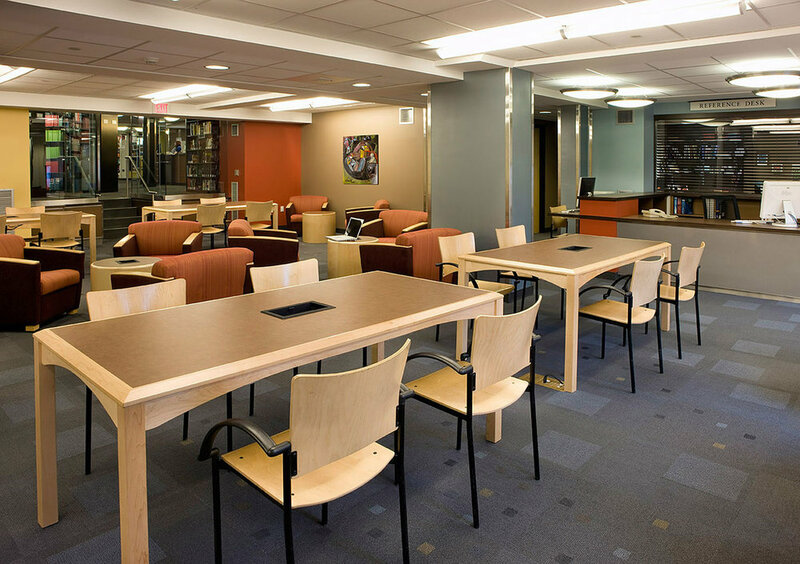 This work created a reading room, expanded the library's stacks, revamped its circulation desk, and added a reserve materials desk and additional library offices. We expanded the library with a classroom and tutorial space, and upgraded interior finishes and furnishings throughout the Library. MDS has designed and implemented many renovations to the historic 150 Massachusetts Avenue complex. Our most recent renovation transformed the lower levels of the complex, create new student lounge, meeting areas, classrooms and performance spaces, improved accessibility, addressed infrastructure deficiencies, and recreated the street level facade.